So let’s get one thing straight from the off: Immortan Joe isn’t a good guy. 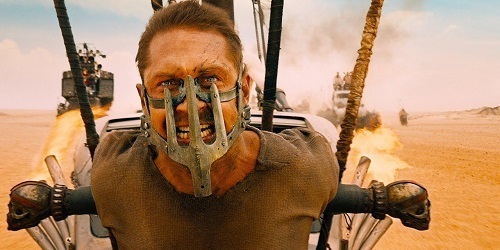 The thing is, the world of Mad Max: Fury Road is not a place conducive to kind and giving characters. Everyone has to be awful to some degree in order to merely survive, and that includes every single one of the characters included in the film, even the ones who don’t want to be. So in the context that Immortan Joe isn’t an objectively good person, I’d like to argue how some of what he does doesn’t have as bad an effect as it first seems. So let’s look at the Warboys for a second. They’re seen popularly as the epitome of testosterone fuelled insanity, their religious fervour for Joe is so fanatical that they’ll do anything for him. They’re referred to by Angharad as victims in their own right. But who are the Warboys? Why are they there? They all seem to be there because they’re sick. It’s not just Nux that’s fatalistic and looking for a historic death, they all are. Why? Because they have radiation poisoning, or illnesses that relate to radiation sickness. They’re referred to by Joe in his speech as “half-life war boys”, and I think that’s not by accident. They do live half lives, shortened by the conditions they live in. But instead of them descending into abject corruption, surprisingly the warboys are more or less disciplined. When Furiosa makes the strange move to turn off the road, their senior immediately passes the order down the line without question at first. They have loyalty and discipline, a feature sorely lacking in the wastelands. Who made them into that? Immortan Joe. We don’t see it in the film so we can’t comment on it much, but they’re obviously his creation. They’re the closest thing to a military in the film, and possibly in the whole of post-apocalyptic Australia. But then what does he choose to use that strength for? Returning to the speech Joe gives at the beginning of the film, he refers to the War Rig being used to acquire gasoline from Gas Town, and bullets from the Bullet Farm. So, the Citadel is about the only place that’s actively trading on a regular basis. The film characterises this as him controlling the people by controlling resources, but the apparently more egalitarian societies don’t have crowds of thousands clamouring at their gates routinely. Sure, the vast majority of them are unwashed peasants, but the very fact they can live as peasants and not have to fight all the time to scratch a living from the wasteland is, compared to the setting, an improvement. That’s not the only evidence of civilisation the Citadel exhibits; the young warboys are sheltered from conflict until they’re old enough to fight. Immortan’s disabled son lives out his days in peace, ruler in his father’s absence. Amputee Furiosa is provided with a working robotic replacement (though the circumstances of her arrival there might belie less than positive circumstances for this). Water might be rationed, but we have no way of knowing if that’s due to cruelty, or necessity. 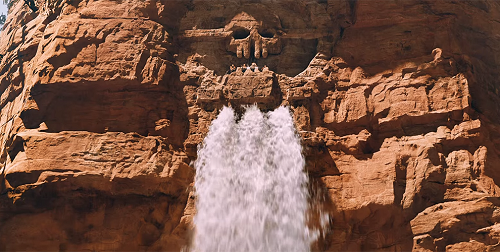 Nobody ever directly states that Joe’s withholding it, and the first thing that came to my mind when they opened the pipes up at the end of the film was that it was entirely likely that they would run out exceptionally swiftly if they did not exert some degree of control over the resource. I highly doubt that’s an unlimited supply right there. One thing that comes to mind when we look at the plot relating to Immortan Joe’s wives is; what the hell is he doing with the breeders? Why is it important to him to breed? What about it is so important he keeps a harem of absurdly attractive women in a vault? As much as I can understand explaining this as a male desire to have a vault of absurdly attractive women for his use, it doesn’t seem to make sense for him to expend such effort to segregate them from the world to the point where they don’t know what they’re doing in the real world. The answer is actually in the film itself. The Bullet Farmer tells us while scoffing at Immortan’s folly. The Bullet Farmer wrote: All this for a family squabble. Healthy babies, heh. There it is, right there. Healthy babies. What Immortan Joe is trying to do is breed humans that are not flawed, that aren’t affected by the poisonous wasteland they all live in. It doesn’t make what he does in service to it acceptable, but again, by the standards of the world he exists in, his behaviour isn’t very extreme. He even seems to care about the loss of Angharad, otherwise why were we shown a scene of him and Rictus wailing over her body, when it was possible that the child she was carrying might have lived? Does this face look bovvered? This need to separate the wives from the wasteland also explains why Immortan does absolutely everything to get them back as soon as possible. By escaping, they’re actually destroying the controlled conditions of his efforts to breed humans unaffected by the radiation. But how does Immortan know about that, and how to protect against it? Surely everyone in the wasteland is a howling savage by now? When Max is captured he’s kept, not as a slave, but as a “blood bag”. This is because the plot required he be Type O, a universal donor. However, how the hell did they figure that out? 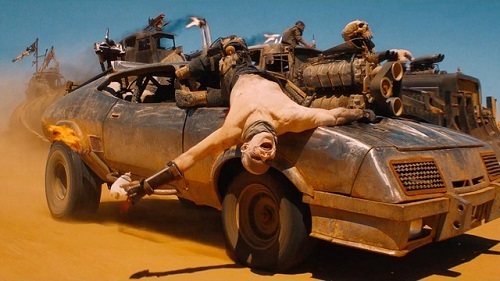 He was captured by warboys, who don’t seem to be the most technically minded guys. 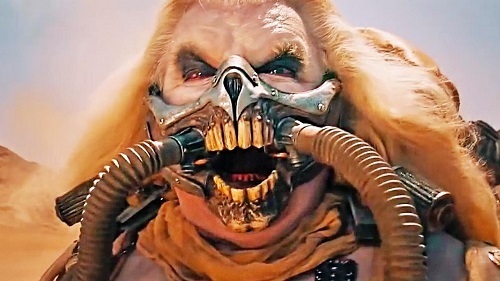 Thing is, Immortan employs a doctor, who was with them and manages to somehow test for Max’s blood type. This is pretty much the only evidence of technology or science being preserved in the film. It all comes from the Citadel. Look at the hanging gardens of plants Joe walks through to the vault, they’re plainly not just basic gardening. It looks like high intensity growing specifically designed for low space environments. The conclusion of the film is that the green place is now no longer the haunted swamp they fled to, but the crowded fortress they fled from. All the best technology and resources are at the Citadel and it’s prospered under the leadership of Immortan Joe. While I won’t argue he’s a great guy or anything, he’s a bad guy in a worse world. As much as he’s a dictatorial demagogue, he’s trying to preserve what it means to be human in an exceptionally twisted way. But compare him to the insane Bullet Farmer, or the obscene People Eater, and he really seems the lesser of the evils in the film. He even seems to come off as though his peers dislike him for his emotional leanings for his wives. In a sense, seeing people as property is a very messed up way of saying people are valuable to him. Characters like Max aren’t able to generate even that level of interest in others.